New home foreclosure filings nationwide inched up in July, signaling the first year-over-year rise after three consecutive years of decreases. The report from Attom Data Solutions is an indication the U.S. housing market may be nearing the end of the cycle, and that home prices will begin to fall, experts say. Meanwhile, foreclosure starts are also rising sharply in some of the country’s biggest real estate markets, jumping more than 20 percent in Los Angeles and Miami, according to the report. In L.A., foreclosures jumped 20 percent last month to 1,190; and in Miami they rose 29 percent to 1,119. In both cities, home foreclosures increase for the third consecutive month. A total of 96 out of 219 metropolitan areas analyzed in the report, or 44 percent, posted year-over-year increases in foreclosure starts in July. Countering the trend again, however, is New York. It reported a drop of 16 percent in new foreclosure filings — the same Attom report in June showed New York had a 19 percent dip — while Chicago reported a decrease of 2 percent. Blomquist said the Greater New York metro area “is still dealing with a relatively big backlog of legacy distress from the last housing bust.” That backlog is shrinking, he said, leading to a decrease in foreclosures there. But the trend could also be masking weakness showing up in more recent loans, he added. 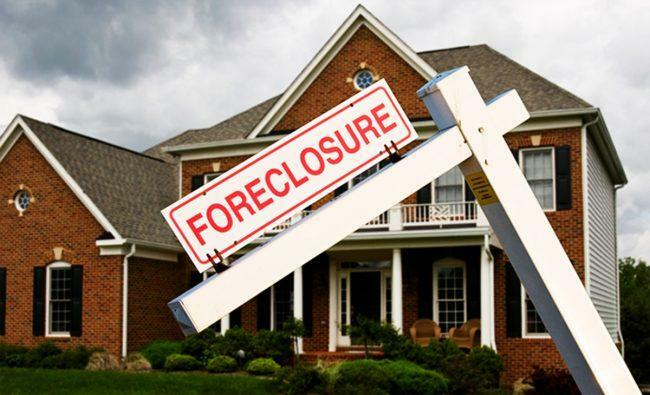 Meanwhile, some of the foreclosure increases in certain cities, such as Houston and Miami, could be attributed to the lingering effects from Hurricane Irma and Harvey, experts said, which made it more difficult for people to meet their mortgage payments. Houston, Detroit, Indianapolis and Jacksonville, Florida, saw the biggest rise in foreclosure filings. In those cities, foreclosure starts all increased more than 70 percent.